The matches of the 18th tour of the Crimean football union Premier League championship, season 2018/19 will be on March 24 and 27. The tour will be opened by the match on next Sunday, March 24. FC "Sevastopol" will be hosted in Kerch by local team "Ocean". These rivals already met on last Wednesday within the framework of first semifinal match of the CFU Cup. 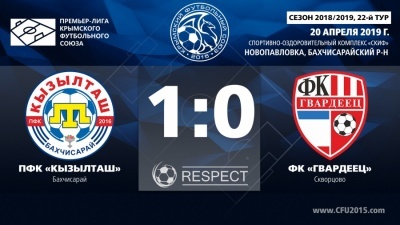 Sevastopol got the better of Kerch at native walls with the score 2:0. 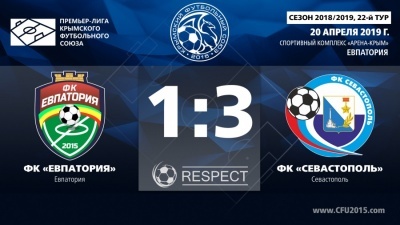 As for the opposition of these rivals at the CFU Premier League, "Ocean" and "Sevastopol" played 14 times between each other: 2 wins have Kerch, 7 – Sevastopol, 5 games ended in a draw result. "Sevastopol" is leading at the standings at the moment, and Kerch went down to the fourth line after the miss in the match with "Gvardeets" and draw in the game with "Kyzyltash". The duel of hero-cities "Ocean" – "Sevastopol" is entrusted to judge the most experienced referee from Simferopol – Iurii Vaks. This match will be on stadium n.a. the 50th anniversary of October in Kerch and will start at 15 o’clock. One more match will be on Wednesday, March 27. "Gvardeets", Skvortsovo will host "Incomsport", Yalta in Agrarnoe urban-type settlement, Simferopol. "Gvardeets" lost to "Sevastopol" in away game (1:3) at last tour, and "Incomsport" overplayed "TSK-Tavriya" with the same score at home duel. 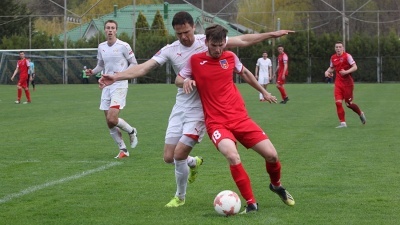 The team from Skvortsovo is fighting for residence at the CFU Premier League, and "Incomsport" continues to claim fore the prize-winning places despite the its fifth position. Both rivals are newcomers of the CFU Premier League that’s why the meeting history counts only two matches: one victory on the asset of "Gvardeets", and one more game ended in a draw. The match "Gvardeets" – "Incomsport" will be on the field of sports complex "Krymteplitsa" and will start at 15 o’clock. 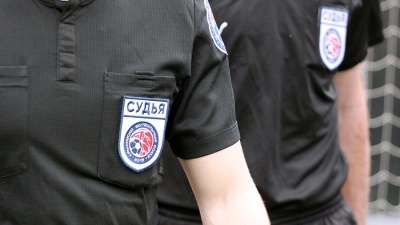 The Referee – Nikita Sugak from Sevastopol. Two more games of 18th tour will be later. 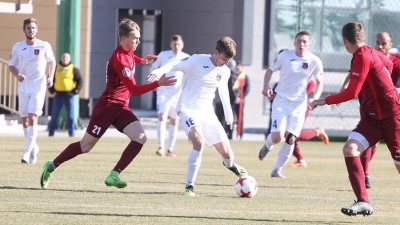 Dueal between "Kyzyltash" and "Yevpatoriya" will be on April 10 on the ground of written request of both teams, and match between "TSK-Tavriya" – "Krymteplitsa" will be played on May 15 on by mutual agreement of teams.